"We would like to thank everyone who had stopped by and help those people in their last moments, including the American family in other car," Rajinder Negi said in an emailed statement on behalf of the restaurant, friends of the victims, and the Uttarakhand Associations of Edmonton, Calgary and B.C. "We would like to thank everyone who had stopped by and help those people in their last moments, including the American family in other car," Rajinder Negi said in an emailed statement on behalf of the restaurant, friends of the victims from Banff, and the Uttarakhand Associations of Edmonton, Calgary and B.C. Negi thanked the first responders and supporters from the Uttarakhand province in northern India. Negi said it will take years for the "close community" of restaurant staff to recover from the loss of their friends and colleagues. 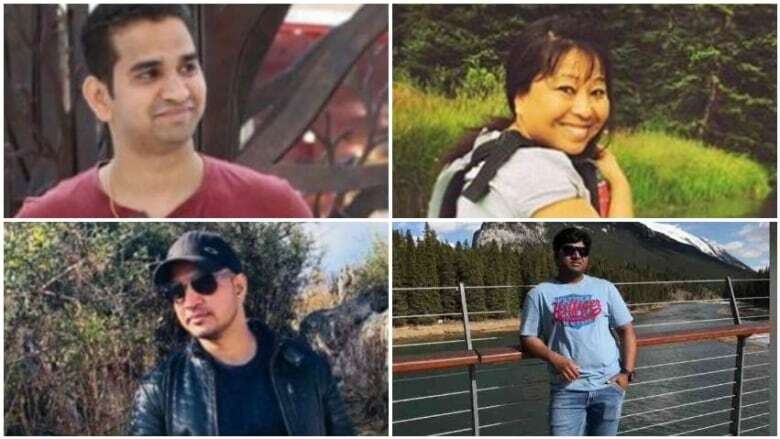 "... the departed soul will be always remembered by friends and may God give them rest in Peace and help their friends and family to recover from this loss," the statement said. Anala's body will be returned to his native Hyderabad in India. With the consent of family, Kathiat will be cremated in Edmonton and his remains scattered in India's Ganges River.